A Service Health Insurance Company review leads to Health Care Insurance Services. Health Care Insurance Services had been known as Service Health Insurance Company until 2010 when the company changed its name. HCIS specializes in providing health care for senior citizens but offers other options as well. 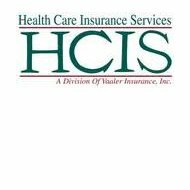 HCIS is a subsidiary of Senior Care Insurance Services. The company provides Senior Care Insurance Services and Health Care Insurance Services. They work closely with AARP providing seniors with options for total health care or for Medicare supplement insurance. For more information on Medicare, visit http://www.medicare.gov. AARP stands for the American Association of Retired Persons. It is an organization that helps retired people by offering advice, services, and discounts on hundreds of items. The discounts are available to individuals who join AARP as members. A yearly membership fee is required in order to receive these discounts. AARP is a non-profit organization that provides information to members through their website, a magazine, and a monthly newsletter called the AARP Bulletin. Individuals must be 50 years old to become members and do not have to actually be retired. One of the discounts offered through AARP is a health insurance discount especially for seniors. One thing that is great about the AARP plan is that the age to qualify is 50 years old. Many health insurance companies do not allow for a senior discount until 55, 60, or even 65 years of age. Each health insurance company has a different age limit for senior discounts and AARP has the lowest age limit in the industry. HCIS offers health insurance designed especially for seniors 65 and older. For seniors with a healthy medical history, HCIS provides insurance at a discounted rate as well as expedited reimbursement service as needed. They know that being without an expected reimbursement affects daily life for seniors so their reimbursement service is quick and easy. Especially for seniors, HCIS provides the opportunity for the lowering of the yearly deductible. This means that the longer seniors stay with HCIS, the lower their deductible will go. They also provide a service called RecoverCare. This program pays for some of the costs of yard work, transportation, shopping, cooking, and cleaning when you are sick or injured. Individuals are able to choose from a variety of services and companies from which to hire. Lifetime Renewability is a program that allows seniors to renew their health care insurance policies yearly. This program was developed by Health Care Insurance Services because some insurance companies drop members when several claims have been filed or when there is a missed premium payment. HCIS stays with customers through rough times. Recently, HCIS has developed a health care insurance product for those under the age of 64. This product is a traditional health insurance product that is for individuals or families. The applicant and the applicant’s spouse must be under the age of 64. Unmarried children who are 19 or younger are also covered. If the child is a full-time student, they are covered until they the age of 22. To be eligible for this health insurance from HCIS, individuals must not be eligible for Medicare. Medicare is not just for those over the age of 65. Medicare is also for individuals who have medical issues or are on disability. The senior insurance program is for individuals who are eligible for Medicare and are at least 65. It is a basic health insurance plan. There is a co-pay and a deductible that can be chosen based on the income of the applicant as well as other factors. HCIS also provides a prescription drug benefit for both plans. The prescription drug benefit covers monthly prescriptions as well as prescriptions that are necessary for specific illnesses. There is a co-pay and name brand drugs cost more than generic drugs, so the co-pay is higher. Whether you are looking for personal health insurance for seniors, individuals, or families, just enter your zip code in the free box on this page to receive rates and quotes from several top companies.